You are at:Home»Value Added Services»GUEST OPINION What can retailers learn from Pokémon Go? 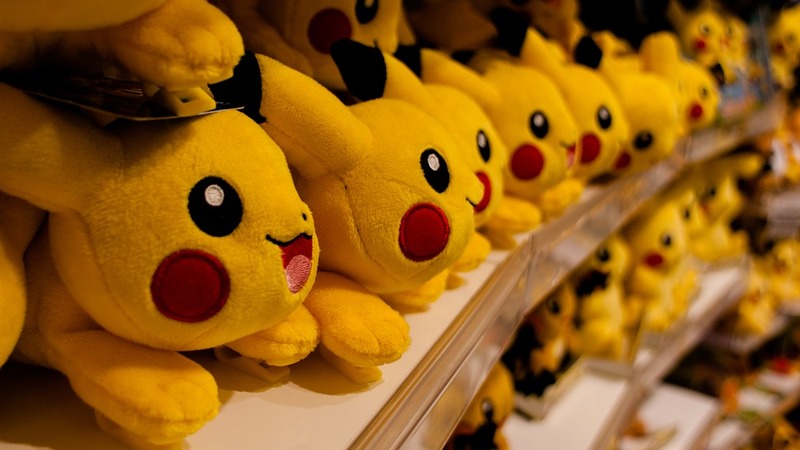 GUEST OPINION What can retailers learn from Pokémon Go? I wonder if you are as staggered as I am at the recent furore around Nintendo’s new mobile game, called Pokémon Go. With the Pokémon franchise having already dominated the respective worlds of children’s TV, trading cards and handheld video games, this new app sees players use the camera on their mobile phone to search for and capture their favourite digital monsters in streets, parks, schools, and effectively anywhere else that they can reach. But does Pokémon Go have more to offer than just being a ridiculously popular mobile game, or are there lessons that others can benefit and learn from? When a new arrival proves as popular, and indeed as successful as Pokémon Go has, seeing Nintendo shares rise over 50% since its release, I find that there are two questions on everyone else’s minds: How on earth have they managed it, and how can I get a piece of the action? It’s no secret that retailers are desperate to find new ways of driving more customers and footfall into stores, and that while internet shopping was once thought to be the downfall of the high street, many are now seeing mobile, and the opportunity it offers for instant engagement with a vast number of consumers, as its most powerful weapon. The issue that retailers are currently grappling with, however, is how to best implement a successful mobile strategy when virtually every other retailer is trying to do exactly the same thing. This is the current state of play with mobile. With 72% of people in the UK currently in possession of a mobile phone, retailers have never had a better opportunity to communicate directly with potential customers, either via a bespoke app or through more direct techniques, such as SMS marketing and engagement. Whatever the method, the ultimate goal is to encourage consumers to visit those all-important high street stores. So where does Pokémon Go come into this? Well, I think there is a great deal that retailers can learn from Pokestops, the real-world locations that players are prompted to visit for various challenges and bonuses within the game. I’m not suggesting that retailers approach Nintendo and ask for their high streets stores to be established as one of these locations. I read in The Independent about one man whose home has inadvertently become a Pokestop, and is now finding swathes of players arriving on his doorstep and demanding a Pokémon battle. No, my thoughts are more along the lines that Pokémon Go is clear evidence that, with the right motivation, consumers will follow their phones to physical locations to collect a reward. I recently saw a video of hundreds (no, I’m not kidding) of players flocking to New York’s Central Park, phones in hand, for their shot at capturing a particularly rare Pokémon that had surfaced in the area. This is something that retailers can absolutely achieve themselves, and I daresay without needing to welcome digital monsters into their high street stores. Many retailers invest vast amounts of money in creating bespoke mobile apps; beautifully designed, free to download and with great offers and loyalty schemes for consumers to login and search for. But therein lies the problem. With a medium that allows retailers to proactively reach out to potential customers, such as SMS, brands can directly contact shoppers with mobile vouchers, offers and messages that are personalised and relevant to them. What’s more, these can be downloaded directly to a mobile wallet on the recipient’s smartphone. There’s no need to download an app and scroll through a list of different offers to find the most enticing, and the engagement rate offered by SMS is frankly, staggering, with recent figures suggesting that 98% of text messages are opened. It might not have quite the same gravitas as dropping a rare Pokémon in the middle of New York, but this approach to marketing offers retailers the very best opportunity for unprecedented reach, and for consumers, a means of receiving the most relevant and timely offers. Furthermore, using a solution that integrates these vouchers with a mobile wallet completely eliminates the need for a plastic loyalty card, paper coupon or downloadable mobile loyalty app. I think we can all agree that this is a much-welcome added bonus! Still need convincing? Give mobile vouchers a chance and see how many consumers make their way into your stores as a result.